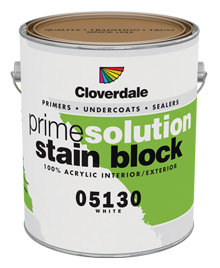 A premium interior/exterior acrylic latex primer/undercoat for use on new or previously painted woodwork and siding. Provides excellent adhesion to moderately chalky surfaces. May also be used to seal stucco and masonry and to prime galvanized metal. This product provides optimum sealing, excellent adhesion, resistance to peeling and cracking with maximum hiding. Meets Environment Canada Volatile Organic Compounds in Consumer and Commerical Products regulations for primers and sealers. Approved by the Master Painter's Institute under category # 6, 39, 134 & 137.